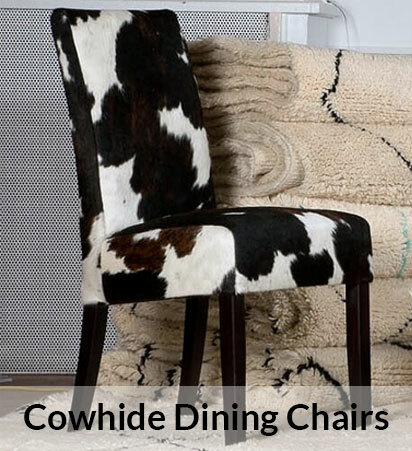 City Cows sells a wide variety of cowhide furniture to give your home that touch of individuality. 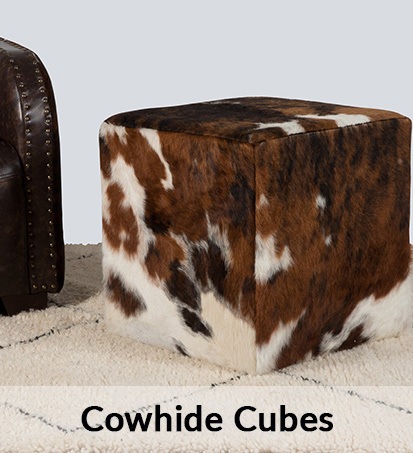 Making an investment in one of these pieces of cowhide furniture will add style and functionality to your home. 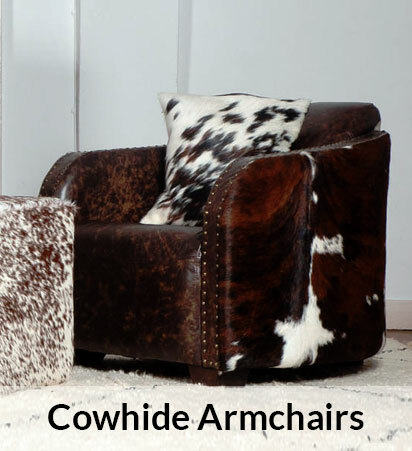 Each of these pieces has been handcrafted in the UK, and is upholstered with the finest quality cowhide. 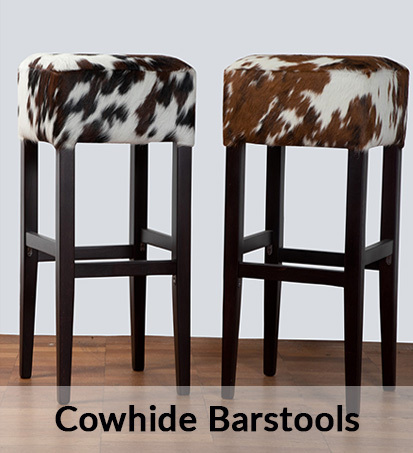 Whether you are looking for a unique cowhide footstool, a cowhide armchair, or a set of contemporary cow hide bar stools, we have you covered. Showing 48 of 145 products.